Here are some of the listener survey comments I read on the show this week. If you're a listener and haven't taken the survey please scroll down and click through. Thanks! Don't rely so much on liberal dogma, ie. only whites are racist, only men are sexist. I may be wrong about this but it's the general impression I get from your show. Thank you for speaking out and about gay men and their lives and other LGBT issues. I love when you read & comment on the listener survey because it shows how crazy your audience is! The things people fixate & obsess over are fascinating. The only suggestion I have is this: The weekend replay is always the Thursday & Friday show even if you were off on thur/fri & played "best of". So the sat replay ends up being a replay of replays! Why not make the sat replay a different show from the prior week? Or better yet choose the most compelling show of the week instead of defaulting to the thurs/fri shows? When you run the "Best Of" shows, do you rerun from the same hour it originally aired? Because I love your show but I only listen on my way home from work, and it seems I'm always hearing the same stuff re-aired. It would be great if you mixed it up so listeners like me could hear interviews and discussion they have missed out on! I really enjoy listening to the show! It entertains me and makes me think as I am driving between sales calls. I don't always agree with your opinions, but I respect you for being true to your beliefs. My only criticism is that sometimes I think that it is hard for you to relate to listeners not living in a major city (such as NYC/SF/LA). Acceptance is much different in smaller cities. Keep up the good work! I really enjoy your take on the world. I feel like I am hearing a real human being's thoughts and opinions, instead of a canned monologue. I discovered your show late one night flipping though, trying to find something interesting without being horribly negative and am very happy with your brand of news. thanks alot. I miss the old introduction to the show. I really like the harshness of the old beginnings. Other than that I listen when I can because of my job I can't always listen. 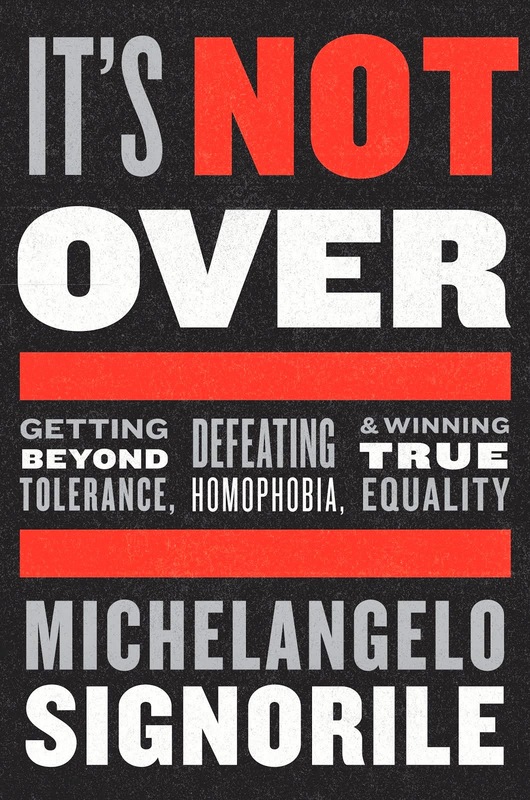 Michaelangelo does a GREAT job in interviewing both sides of a issue. I think sometimes though he isn't tough on the Wrong Side (Religious Right). I sometimes think Michael talks over callers that have a different viewpoint. A man called just today and shared his opinion and it was not drastically different but Michael seemed to almost laugh at him on how he could have that opinion. I happened to agree with the caller. One reason I wouldn't call in to the show. This does not happen all the time. I really enjoy your show and most of the time I agree with your point of view. However, sometimes I feel you're like a Pitbull with a bone, you get on a subject and hold on.. going over and over the same points. I feel like you need to state your feelings and let some of your listeners either agree or disagree with your feelings. Michael is very informed but sometimes I feel he is very biased. I am a straight female, and I whole-heartedly support equal rights for EVERYONE. I sincerely appreciate Michelangelo's interviews and analysis of all types of news, and I love that he does not flinch from asking the hard questions. In a world full of vapid news blah-blah-blah, this show stands out for its intelligence, integrity, wit and compassion. I only get to listen sporadically (the show is on during my work day), but I always enjoy the program. Thank you for your great work! The show is great, informative and many times educational. It is strange how comfortable one can become living the the NYC area. Listening to your show helps me remember that there are a lot of LGBT people who don't live in this area with all of the acceptance and advantages we have. The only problem I have with the show (which really can't be fixed) is how negative it can be. Sometimes I have to stop listening for a few days because it just gets too depressing listening to crazy hateful people. You combine that with stress from a long day at work and my head just about explodes! Really like your show, I love the topics you cover. You have a very entertaining and informative show. keep doing what you're doing. Love your show!!! Wish the straight folks were not so scared of difference. Keep up the good work at showing them that we are not that different. I have been unable to "friend" Michelangelo on facebook. I was referred to the "Fan" page, However I get the feeling that not as much activity occurs on the fan page. Please explore the possibility of switching everyone to the fan page so we dont feel left out. I would like to have Mike be more consciously open to others opinions. I know he has heard it before, but come on Michael-- you are a bit narrow at times with your perspectives. Michaelangelo is very erudite and articulate. Love the show! Signorile is VERY smart and VERY insightful. I am a journalism grad student, and listen on my way to class at the top of the hour when he discusses the news. I used to think Rachel Maddow was the most insightful progressive, that was until I heard Mr. Signorile. Listening to him gives me hope of the future of the LGBT community.